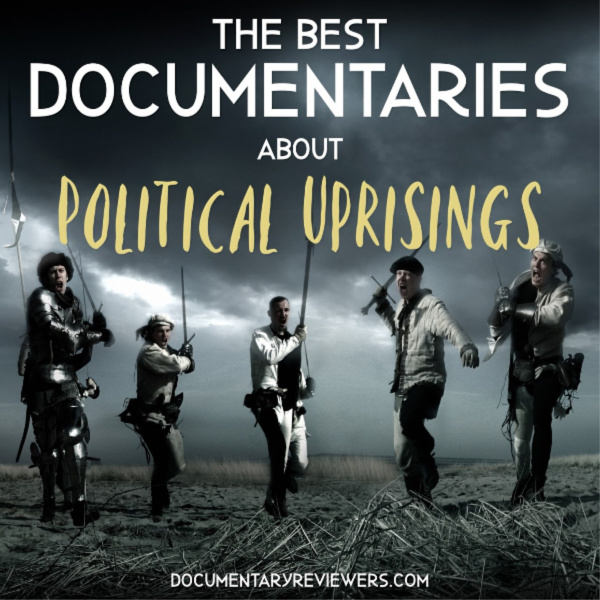 The best documentaries about political uprisings are the ones that pull at your heartstrings, provide unbelievable firsthand footage, and teach you a whole lot about a culture you may have known little about. That’s exactly what these political documentaries are about – revolutions that changed everything, civil unrest and turmoil that boiled over, and political corruption that finally became too much to bear. These are some of the best political documentaries we’ve ever seen, so update your queue, sit back, and enjoy your TV time. Captivating from beginning to end, Winter on Fire is a political documentary that will have you on the front lines of the Ukrainian revolution. While tugging on your heart strings, the film exposes the political corruption but also the common humanity among people. You don’t need to live in eastern Europe to relate to the political struggle from the viewpoint of the Maidan protesters. Although the film may sacrifice historical context for drama, this film is definitely one of the best documentaries about political uprisings. The most important take-away: Your eyes will be glued to the screen. As a bonus, it is available on Netflix. If you’re a history, political, or spy buff, American Coup is a fascinating watch. As 1953 unfolded in Iran, the CIA set in motion a series of events that could have easily been mistaken for a fictional spy novel. This political documentary details one of the earliest (and one of the most successful) known covert CIA operations. The film untangles the web of political actors and actions that sowed the future of Iran and American foreign policy for the rest of the century. Not only did it trigger an Iranian revolution in 1953, it ignited the fuse to the 1978-79 revolution. The Loughinisland massacre was a microcosm during the era of political uprisings known in Ireland as “The Troubles.” But the fateful night in 1994 eventually exposed more than just a brutal, murderous attack. With a mixture of true crime, political corruption, and mystery, No Stone Unturned is an eye-popping documentary about a crime in a small rural town against the backdrop of revolution. Could the British government be behind one of the most infamous attacks during the 1990s? Could corruption infiltrate the highest ranks of the police force? Follow along as the relatives of the victims spend a decade searching for answers. The Square is a thrilling Netflix documentary about political unrest that puts the watcher in the midst of the Egyptian revolution during the Tahrir uprisings from 2011-2013. For many of us, the events that took place are still fresh in our memories from the international media, but this documentary gives the viewer a fresh on-the-ground perspective. With Egypt in crisis over identity and political direction, the film documents both the atrocities that were committed by the government and the hope, friendship and love that unify people on both sides of the fight. If Netflix hasn’t already suggested this documentary to you, it’s time to add it to the watchlist. It’s one of the best out there if you are interested in political uprisings and revolutions. 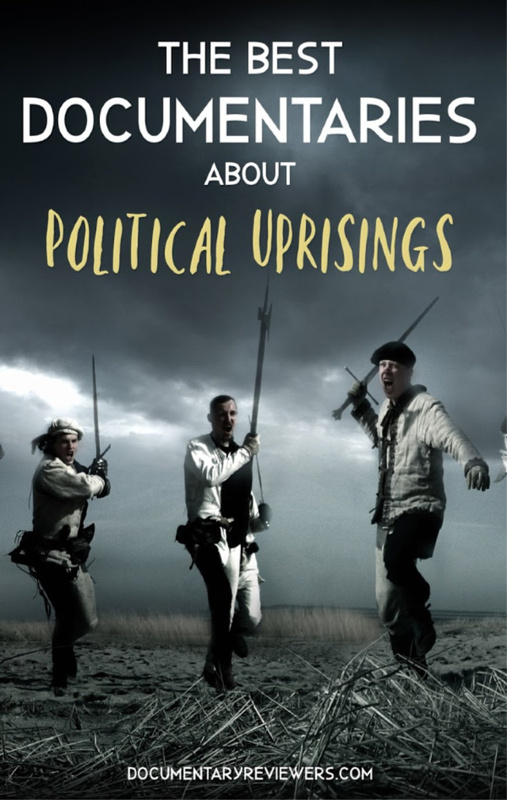 Hopefully you get a chance to enjoy each of these fantastic documentaries about political unrest. There’s so much to learn and even more to enjoy!